Last week, I was horrorstruck to spot two cavities in Little Foot’s upper molars. She was throwing a tantrum and had thrown her head back. 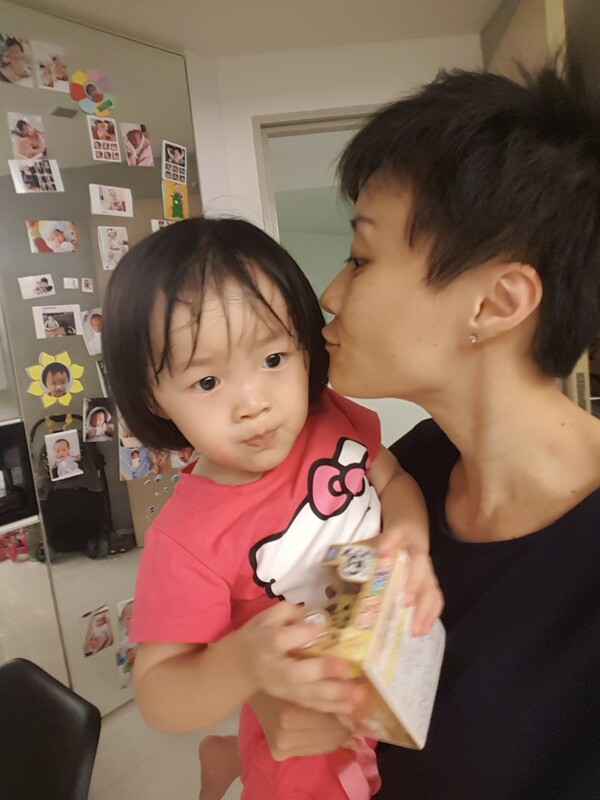 Mummy felt so guilty about being so busy with work lately, I haven’t had time to take notice of all the little changes. Plus she has a sweet tooth AND still latches at night. Was worried about extractions or worse…root canal! So we got an appointment at Petite Smiles after asking some mummy friends for recommendations. The experience was very good. 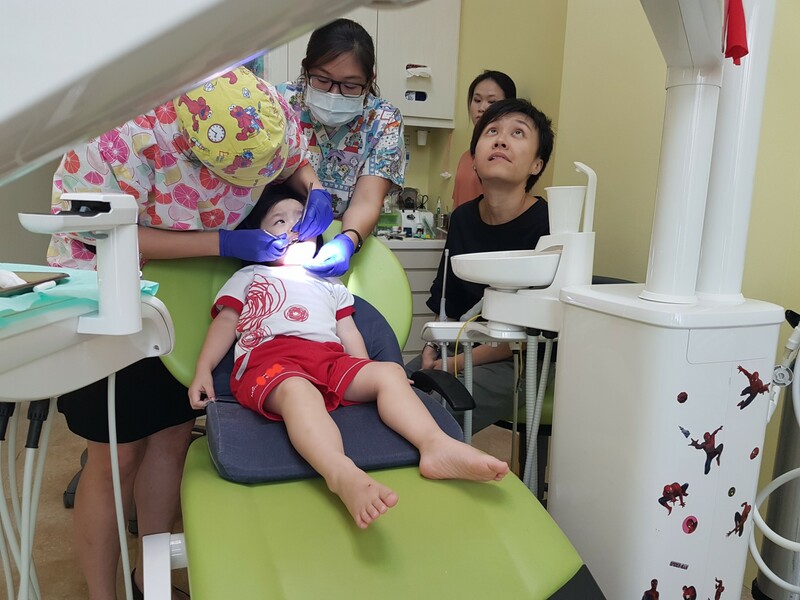 I had told the receptionist that it would be Little Foot’s first time to a dentist, we definitely need a friendly dentist! We picked her up earlier than usual from school. Along the way I prepped her – We are going to the dentist who will make your teeth white, and then the tooth fairy won’t come to collect your teeth. The dentist can shoo the tooth fairy away! 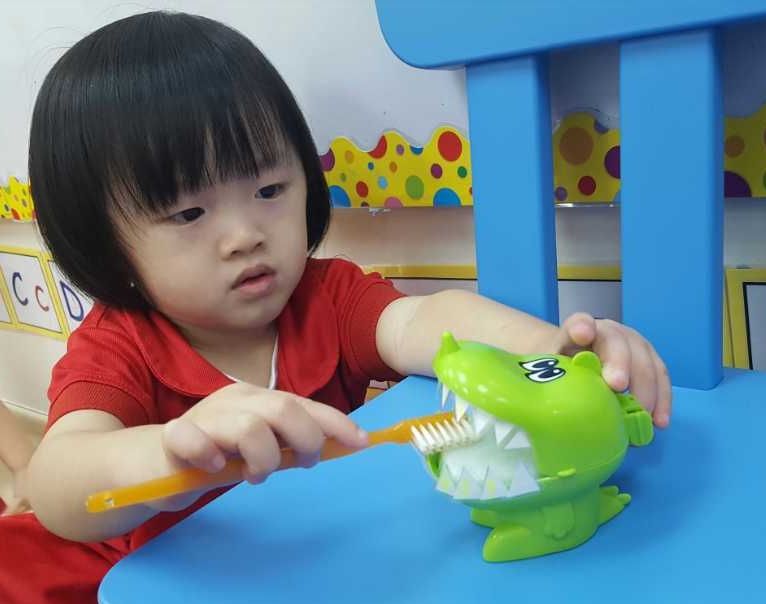 Helps that this Jun holidays, they have been learning about oral hygiene in school and she had the honour of helping baby crocodile to remove the yellow stains on its teeth during one of their classes. The moment we walked in to the dental clinic, a homely setting and this awsome play area greeted us. Little Foot was delighted to throw some balls and go down the slide while I filled up her particulars. Little Foot warmed up to the dentist’s chair and got in once we chose the ‘Frozen’ movie to watch. 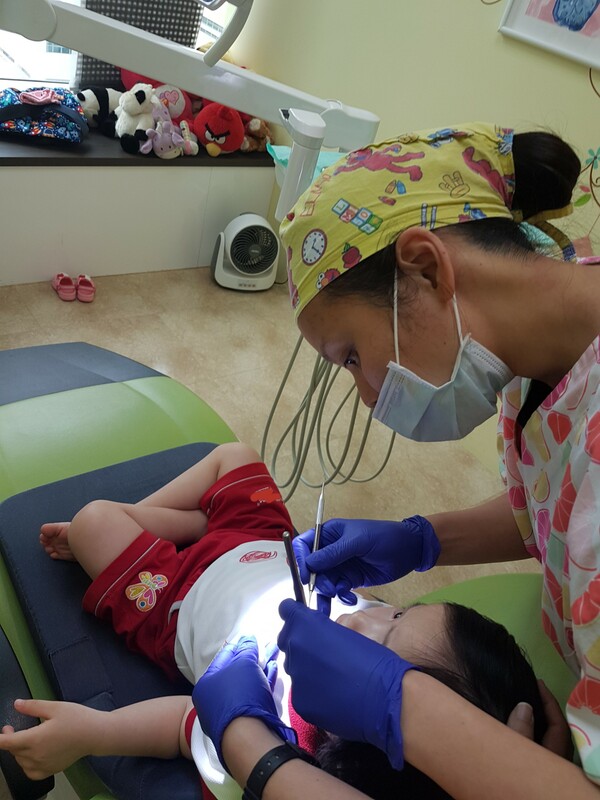 Throughout the cleaning of the cavities and filling the holes up, the dentist, Dr Ng, chatted and sang along to the songs. Little Foot was also very pleased to inform me that the dentist has Elmos on her hat! Overall a very successful first time visit to the dentist! Little Foot actually made us hang around for awhile after her session was over so she could continue to play at the play area. 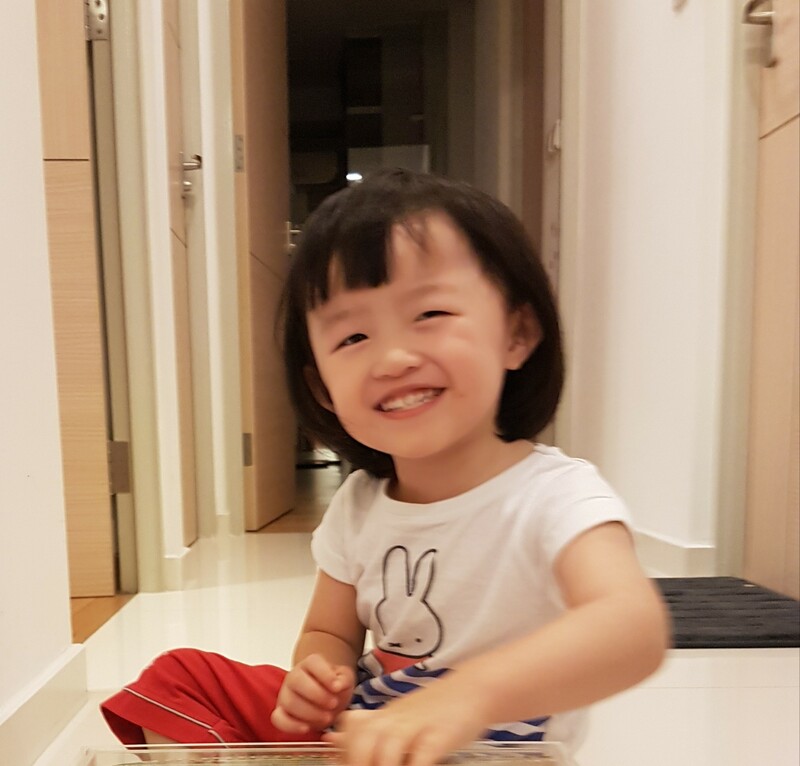 To round it off, we had some good advice from Dr Ng on adjusting her eating habits, the type of toothpaste to use, and flossing. Thank goodness the decays were not as bad as I imagined! We paid $250 for this visit. Which is not too bad… about how much we pay for our adult dental visits too. So who said visits to dentists needs to be a horror film? Today is a good day! #tgif! On leave to spend time with the family. 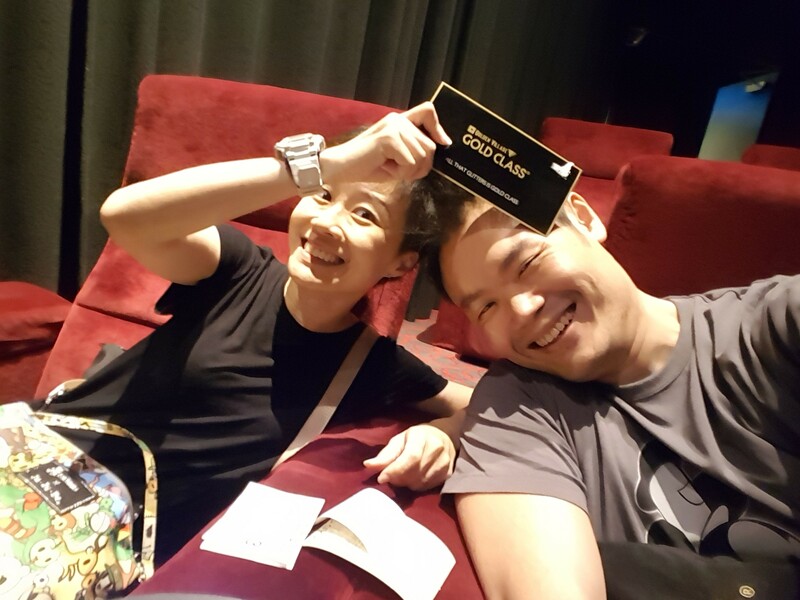 1st up: GV Gold Class! Next Up: School Family Day! Oh we love to bring Little Foot along for our hipster cafe sessions. 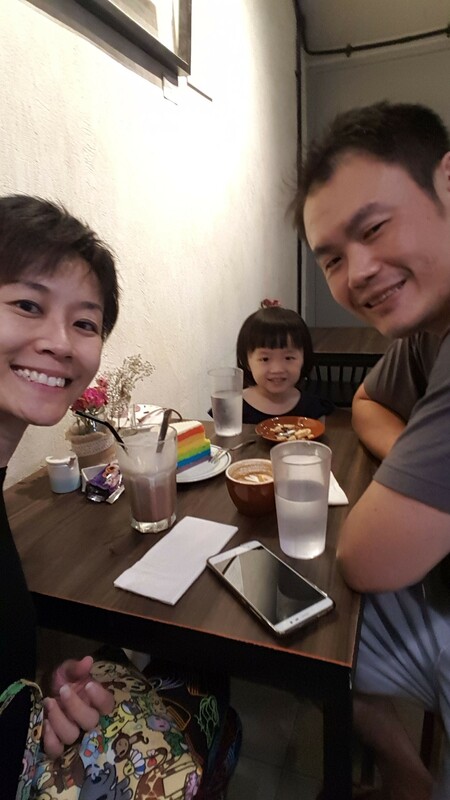 So here we are with a Rainbow cake to share, Flat White for the Papa and an Iced chocolate topped with a scoop of vanilla ice cream. Happiness is so simple yet so terribly hard to achieve because of the pace of worklife in Singapore. Can’t believe one has to take leave in order to just mute the phone and spend time with the people who matter the most. In any case, it was a good day even with small pockets of tantrums from Little Foot. If only everyday was like today.